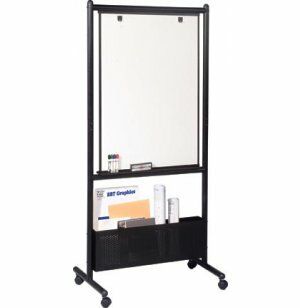 These unique Whiteboard Easels "nest" against each other for more compact storage! 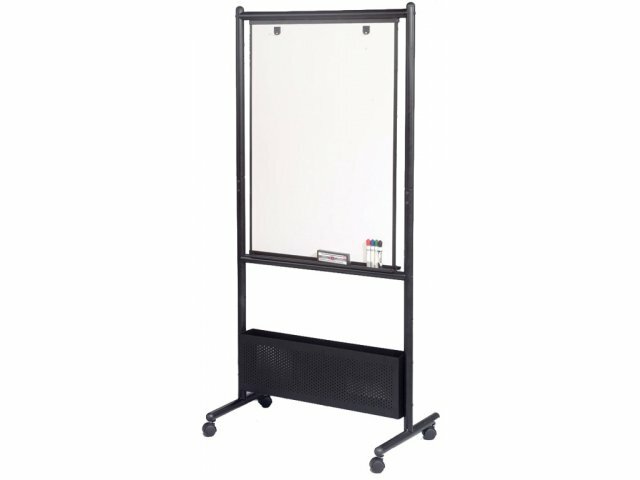 This whiteboard easel is designed with a two sided dry erase surface. 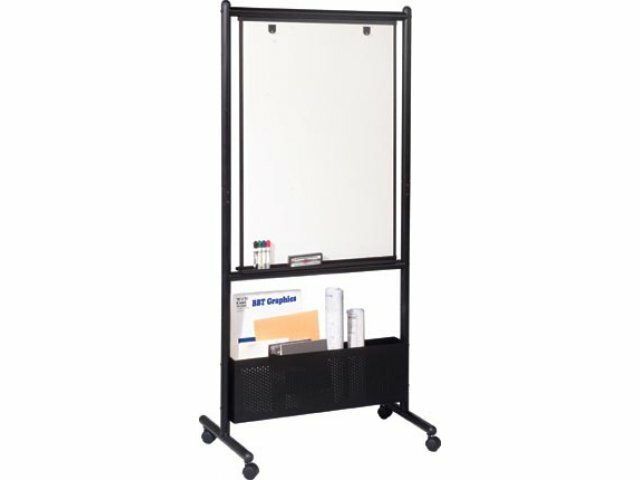 Ghosting occurs on some surfaces due to an accumulation of dry erase marker after several erasures are made. 42"H x 30"W porcelain writing surface. Full-length marker tray on each side. 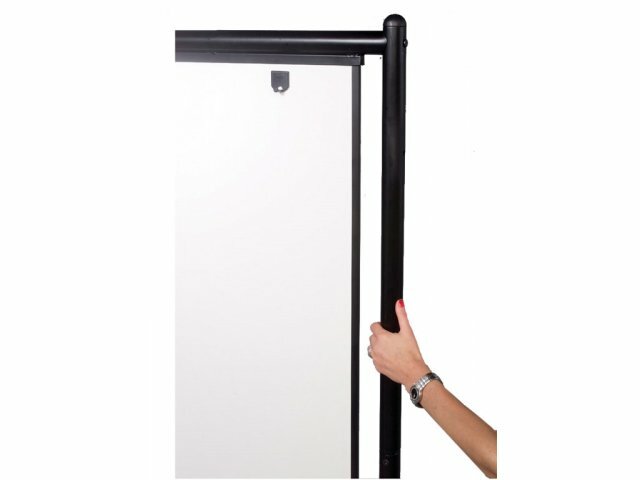 Flip chart hooks on each side. 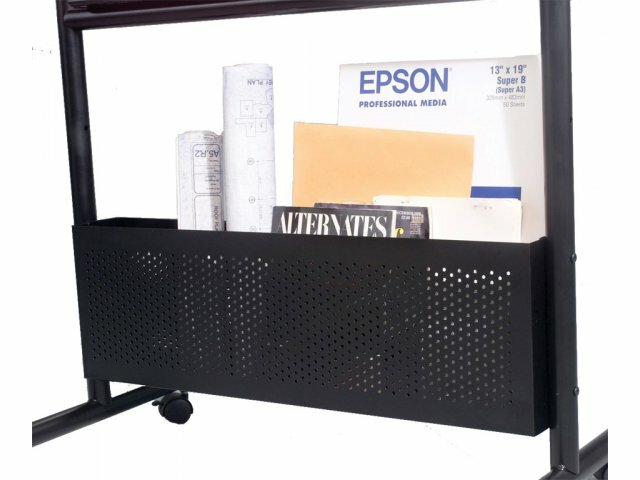 Black perforated steel storage box.